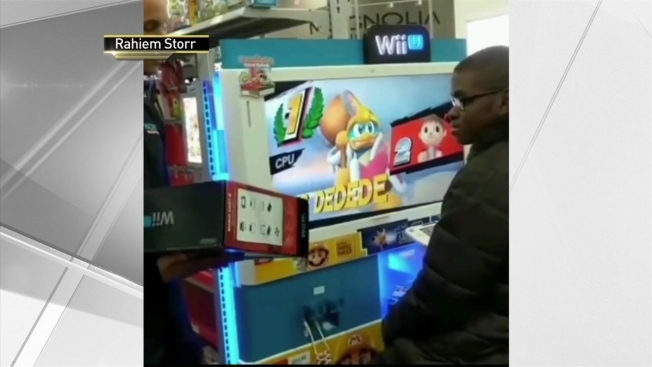 Heartwarming video of an employee at a Long Island electronics store giving a Nintendo console to a boy has gone viral. The act of kindness was captured at the Valley Stream Best Buy earlier this month after store employees pitched in to buy a Wii U for the boy. Workers noticed that the boy had been playing the console at the store for weeks. Employee Ken Fernandez gathered some of them together and they put money towards buying the gaming system for him, Best Buy confirmed. A YouTube video that had amassed some 1.3 million views by Tuesday shows Fernandez giving the stunned boy the Wii U. “On behalf of all of us here at Best Buy, we got you a Wii so you don’t have to come here every day and play,” Fernandez says in the video. The disbelieving boy looks on as he sits at the Wii U playing station. Fernandez later dropped off the console and a copy of Mario Kart, which cost around $300, at the boy’s home.